Farewell Reception in the Session House for Rev. Francis Kinsler and his family as they return to missionary work in Korea. The reception hosted by the Women’s Association was attended by 200 guests. Rev. Francis Kinsler was born in Germantown, PA in 1904, one of four children of Arthur R. Kinsler and Bertha Campbell. Kinsler graduated in 1925 from Maryville College in Tennessee, and the Princeton Theological Seminary in 1928. His brother Rev. Arthur R. Kinsler, Jr. also graduated from Princeton Theological Seminary. During Rev. Francis Kinsler’s senior year at seminary, he worked with youth at the Trenton Presbyterian Church, where he met his future wife Dorothy Woodruff (1907-2001). While studying at Princeton Seminary, Francis Kinsler heard a speaker discussing the need for Missionary workers in Korea. After graduating Seminary, in 1928, Rev. Francis Kinsler was appointed to the Presbyterian Board of Foreign Missions and sent to Pyongyang, North Korea as a missionary of the Northern Presbyterian Mission. Dorothy joined Rev. Kinsler in Korea, they were married in Pyongyang, North Korea in 1930. They arrived in a country with little understanding of the language or customs. Rev. Kinlser was a seminary professor at the Union Christian Seminary. He founded the Korea Bible Clubs, alternative schools, in Pyengyang, North Korea, for less fortunate children, left out by the regular schools. Both his sisters, Marion and Helen Kinsler, were missionaries in Korea. Rev. Kinsler would return to the States for several callings to churches in the United States, but the majority of his years were spent in Korea. In 1932 when Japan seized Manchuria, Kinsler returned to the United States and taught at the Presbyterian Theologian seminary. Over his career of Korean mission work, Rev. Kinsler made trips back and forth, filling in on short assignments to churches in Pennsylvania and New York. He was a frequent invited speaker on Korea to churches all over during his visits to the States. In the ealry 1940’s, due to the political climate in Korea, missionary work became impossible, Rev. Kinsler and his family left in the Spring of 1941. Rev. Kinsler served as Pastor of the First Presbyterian Church of East Hampton from 1942 through 1948. He arrived in town, at age 37. Rev. and Mrs. Kinsler had three children, Helen, age 10, Arthur, age 8, and Ross age 7. Helen and Arthur were born in Korea. Rev. Kinsler preached his first sermon on March 1, 1942. Morning worship then was at 10:45 am. Alongside the news reports in the East Hampton Star of the Welcome Reception for the Kinsler family, was news of a demonstration of gas masks at the East Hampton High School. A formal call to Rev Kinsler to become Pastor was issued by the congregation in December 1942, he was installed as Pastor on December 15, 1942. One of Rev. Kinsler responsibilities was to provided sermons at the Springs Chapel. These were held every Sunday evening at 8:00 pm. While in East Hampton, Mrs. Kinsler was a member of Ramblers and the Ladies Village Improvement Society (LVIS), several of her Ramblers programs were on life in Korea. On a Sunday morning in July 1948, Rev. Kinsler surprised many in the congregation with his announcement that felt called to to return and provide his services in Korea, a country recovering from war. On September 19, 1948, Rev. Kinsler’s resignation was formally and regrettably accepted by the Congregation. 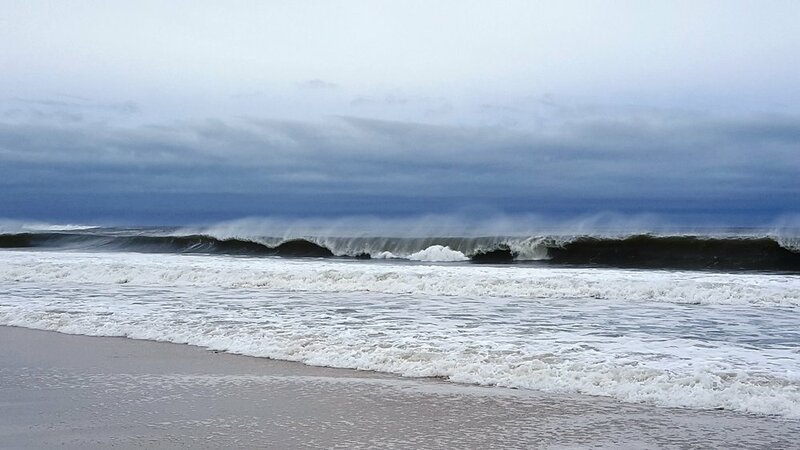 The East Hampton congregation would continue to partially fund Rev. Kinsler’s missionary work in Korea for many years. Rev. Kinsler work in Korea was to provide provided basic education, bible study and recreation for tens of thousands of youths through the Bible Clubs, many orphaned during the war. Again in 1950, at the outbreak of the Korean War, Rev Kinsler’s family fled Seoul, Korea for Japan. Rev Kinsler moved south in Korea to set up relief efforts for civilian refugees. His work included starting Bible Clubs for education, and setting up orphanages, and seminaries. After they fled, the Kinsler Family’s Korean living spaces where stripped bare, doors, windows, furniture were all taken. The greatest loss was Kinsler's seminary and teaching papers. Mrs. Kinsler was active in Missionary work in Korea as well. After they fled Korea, hundreds of winter jackets Mrs Kinsler planned to give to the needy were taken too. In 1966, for three months,Rev. Kinsler was the interim minister at Westfield Presbyterian Church in Pennsylvania. He then returned to his position as Dean and Professor Theological Seminary of the Presbyterian Church of Seoul, Korea. From 1971 until 1976, Rev. 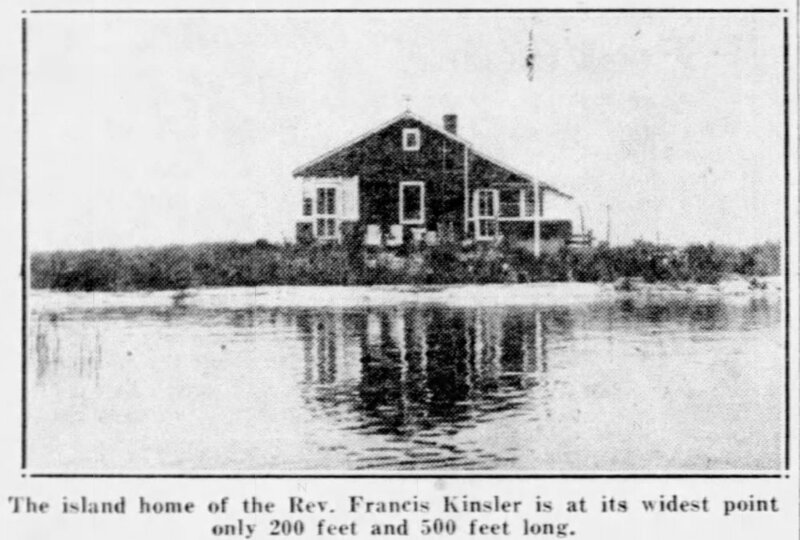 Kinsler was the pastor at the First Presbyterian Church of Center Moriches, NY. In 1979, Kinsler returned to Korea to be honored at a 50th year anniversary celebration of the Bible Clubs. The Kinsler's had three children, Helen, Arthur, and Ross. Ross, the youngest son, followed in his father's footsteps, graduating from Princeton Theological Seminary in 1960. The oldest son Arthur, also attended Princeton Theological Seminary in 1957 and went into Missionary work in Korea. He and his wife, Sue Young-Soon Shin Kinsler have spent a lifetime as missionaries to Korea. Rev Kinsler died in Los Angeles, Ca in 1992 at the age of 87, he is interred at the Yanghwajin Foreign Missionary Cemetery, Seoul, Seoul Special City, South Korea. Farewell Luncheon held in Session house for Rev. Kinsler and his family as they return to Korea. The cake was decorated with the image of Home Sweet Home and a boat upon the ocean and the island of Korea with thatched huts. Article on the Rev. and Mrs. Kinsler life in Korea prior to WWII, East Hampton Star, May 7, 1942, pps. 1-2.